As if there wasn’t enough unbelievable awesome wedged into Apple’s reigning devices already, now they go and do this. 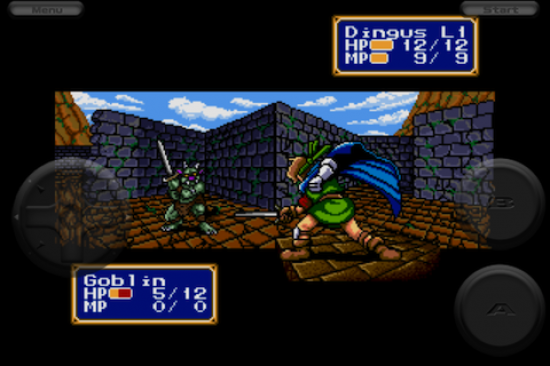 Shining Force, one of the best strategy RPGs available on the Genesis, is now available for download on your iPhone or iPod Touch. The price is a cool 2.99, which is pretty fantastic considering the rarity of this title in cartridge form. If you’ve never gotten the chance to pick up this classic, do so NOW. Even after all these years, I still find Shining Force’s grid-based gameplay to be consistently engaging. It’s the grandfather for many of today’s turn-based titles, but it still manages to remain just as enjoyable as these young whippersnappers. I imagine that portable play will make it even stronger, as sitting down and playing through intricate, step-by-step battles, now with touch screen controls, just seems like it would work so well in short spurts. As someone who’s never played a Shining Force game I’m tempted to get this. I’d actually guess that it would play pretty well on the iPhone.